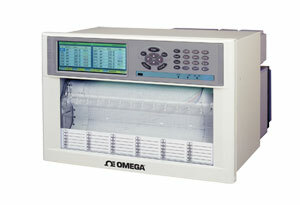 RD5100 series chart recorders are 250 mm (10") hybrid recorders with multi-range input. Innovative design high performance recorder provides high accuracy, ±0.05%; high speed scanning, 0.1 second for 36 points and high speed recording, 1 line in 3 seconds. Simple operational keys and PC setting functions drastically improved usability of recording system.